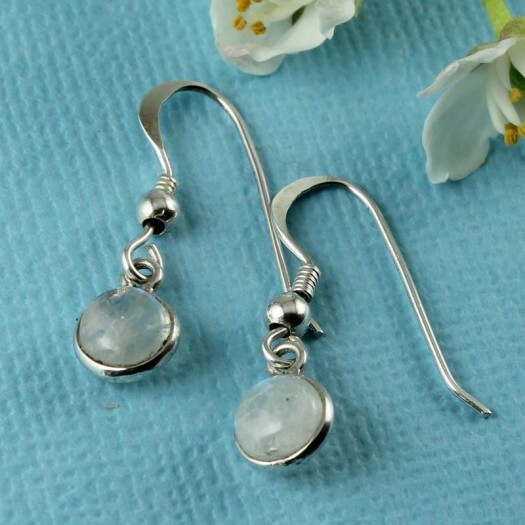 These charming and refined drop earrings each feature a single small, round, convex, polished Moonstone gem, set in a sterling silver wirework bezel, suspended below a silver ball-ended hook. 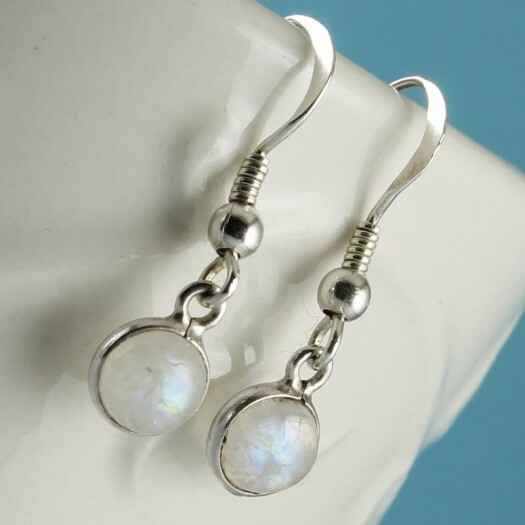 These earrings are fastened with popular Sterling Silver hooks. 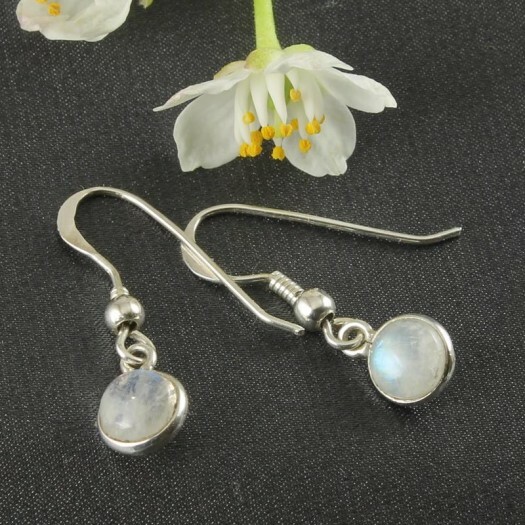 Looking like a piece of the moon, Moonstone gems emanate a shimmering blue-white, sometimes rainbow, luminescence which emanates from the gemstone (and is named adulaescence, after an early Moonstone mine site at Mt Adula, Switzerland). 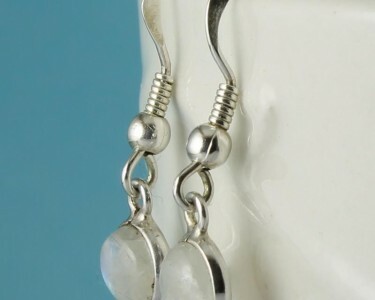 Size & Fit : Earring drop: 2.5cm/1in; Gemstone diameter (incl. 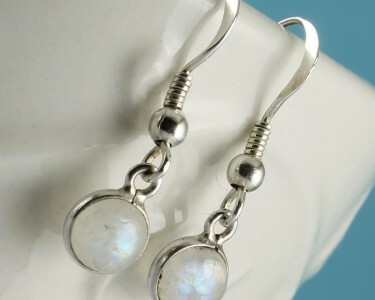 bezel): 7mm/0.26. 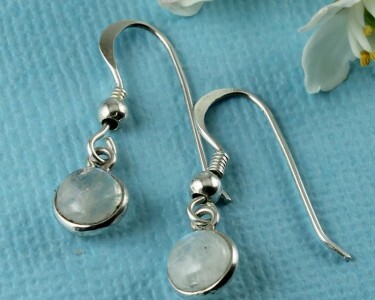 Wear It With : These are dainty and simple earrings which will assure your audience of your good taste. 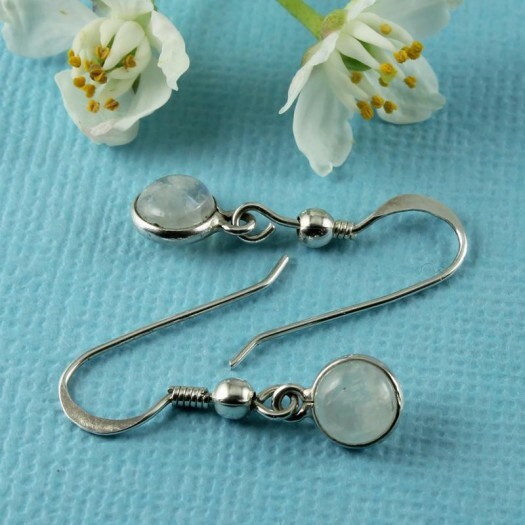 These earrings are sufficiently subtle in colour and size to be worn with any outfit, but they will naturally look best with your darker shades. 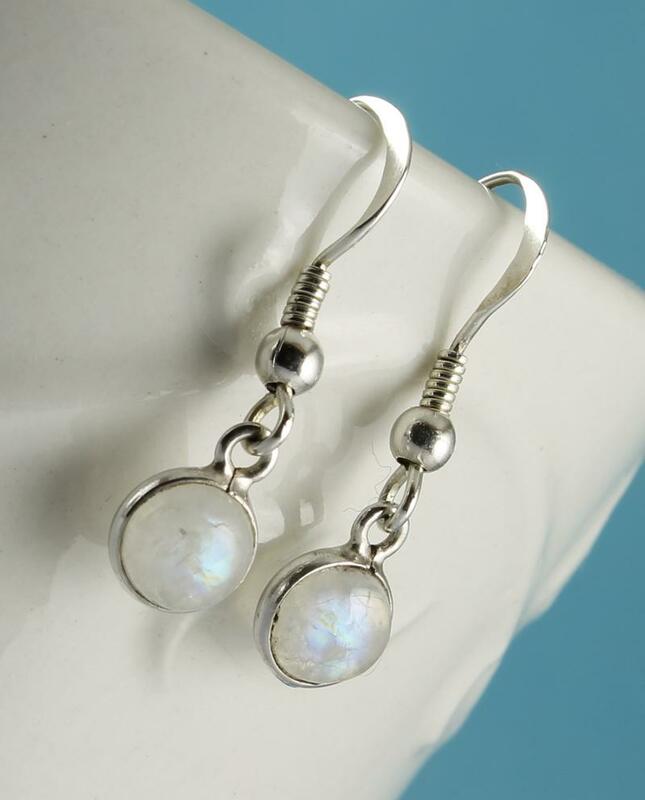 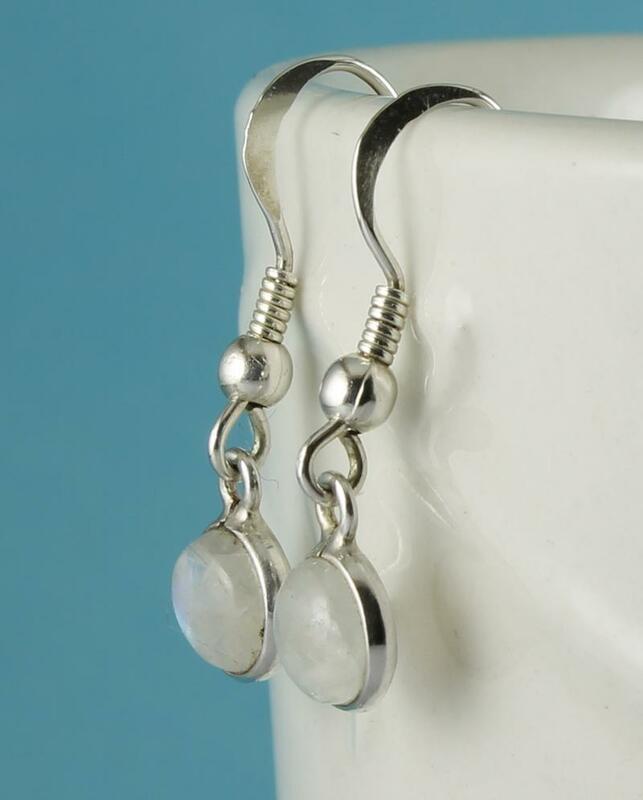 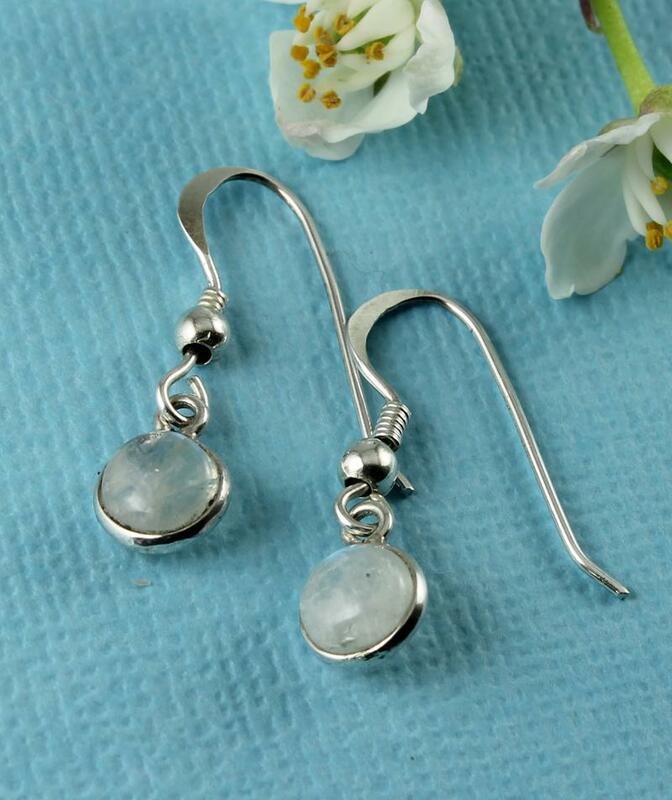 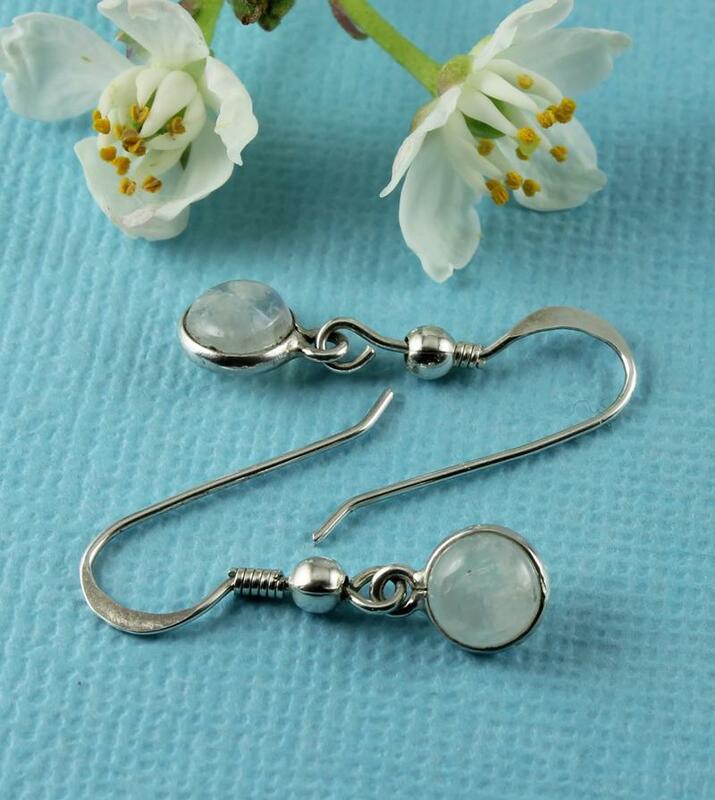 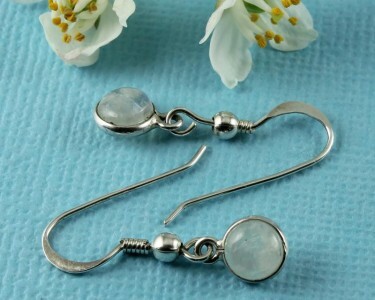 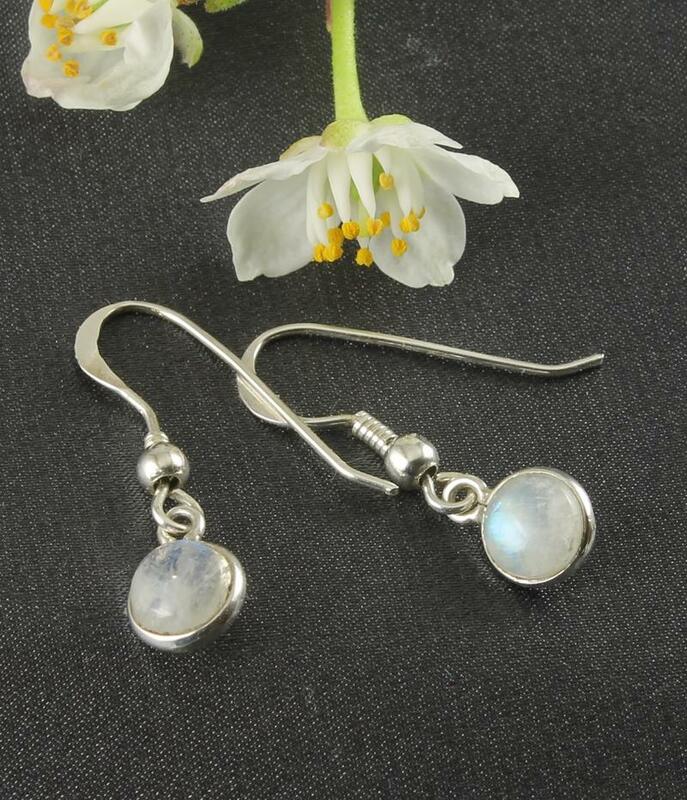 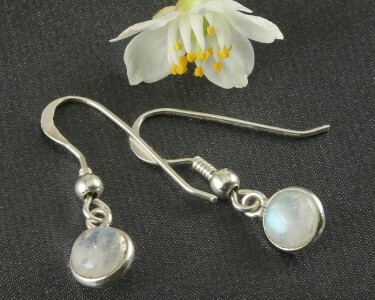 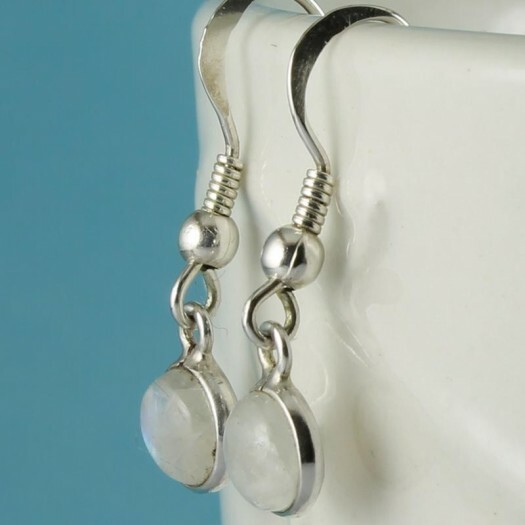 Moonstone is the alternative birthstone for June, and you can use these earrings to harmonise perfectly your other Moonstone and Sterling Silver jewellery.